We Love Grammar, and You Should, too. As a freelance writer in a competitive market, maintaining the quality of your work consistently is key. When clients know they can count on you for publish-ready work, they’ll be more likely to choose you first. 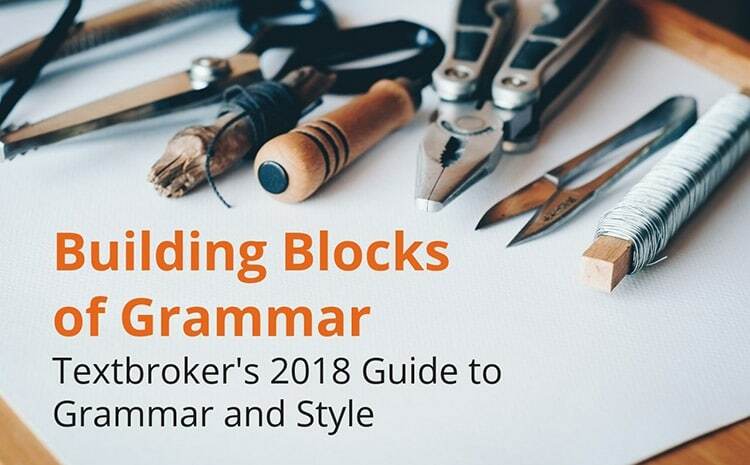 A solid grasp of grammar and style not only helps you improve your Textbroker rating and land higher-paying gigs, but it also helps make you engage readers and stand out as a capable writer. We love posting about grammar here in the author blog. We answer questions about it every day and want to make sure our authors are equipped to handle any idea they need to turn into a sentence. This post is an comprehensive, up-to-date guide to our resources on grammar and style. Punctuation characters are a critical part of organizing text and your thoughts. Breaking up complex ideas into understandable sentences is at the core of concise writing. Commas make long sentences manageable by setting aside nonessential information and separating independent clauses, among other things. For some quick and useful infographics, check out our Comma Cheat Sheets. Commas accompanied by coordinating conjunctions are used to separate independent clauses. It’s easy to remember the coordinating conjunctions with the acronym FANBOYs (for, and, nor, but, or, yet, so). 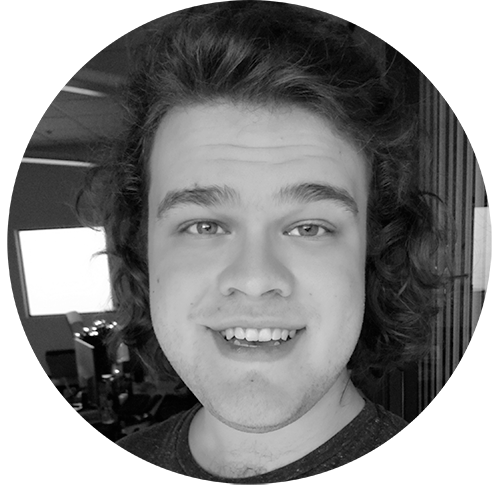 Learn more about using commas with FANBOYS coordinating conjunctions here. Among the most common mistakes that affect authors’ quality and ratings are comma errors. Learn about common comma errors and how to avoid them here. Often used incorrectly and misunderstood, semicolons are a concise way to separate related independent clauses (clauses that could stand on their own as a sentence). It’s important to remember that semicolons are not interchangeable with commas. Check out our in-depth look at semicolons. For a detailed breakdown of the differences between these three types of punctuation, as well as critical rules for using them successfully, check out this blog post. Colons and semicolons are named similarly for a reason: Colons may be used between independent clauses, just like semicolons, but only in certain cases. When the second clause expands upon, explains, or clarifies the first clause, a colon may be used to separate them. Additionally, a colon may be used to introduce a list after an independent clause. A colon should not be used to introduce a list after a dependent or incomplete clause. Remember not to capitalize the first word after a colon unless it is an independent clause or a proper noun. The senegal bushbaby, named possibly for the animal’s sounds or it’s infant-like appearance, is a small, omnivorous, nocturnal primate and a member of the family Galagidae found primarily in dry woodland and savanna regions of sub-Saharan Africa and nearby islands. The ideas in this sentence would be much better served by shorter, more focused sentences. For example, the nonessential clause about the bush baby’s name at the beginning of the sentence could be treated as its own sentence. The information about the animal’s habitat would make more sense in a sentence of its own, too, as it is not related to the animal’s name or diet. The senegal bush baby is a small, omnivorous, nocturnal member of the Galagidae family. Its name possibly comes from its sounds or its infant-like appearance. The bushbaby’s primary habitats are savanna and woodland regions in sub-Saharan Africa and nearby islands. By breaking this text up into three sentences, each with a clear purpose and succinct phrasing, we’ve made this text far more readable. 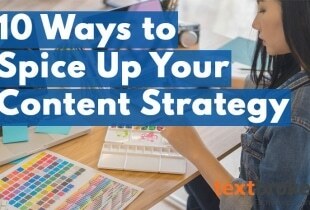 Knowing when to capitalize words is critical to maintaining your rating and producing publish-ready content. 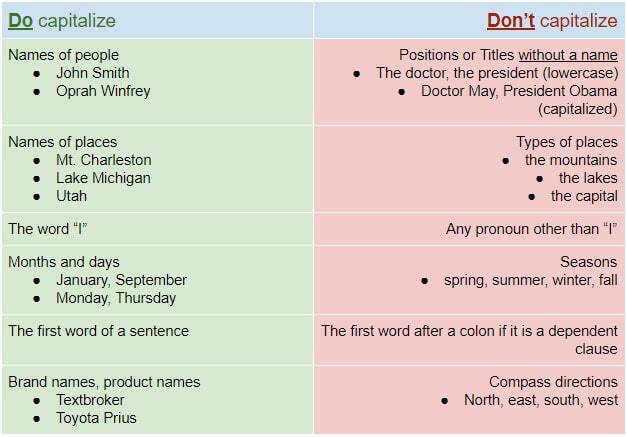 Here’s a quick guide to capitalization. Clauses are short groups of words that describe things or represent ideas; they can be dependent or independent, depending on how much information they contain. An independent clause can stand on its own as a sentence, but a dependent clause needs to be accompanied by an independent clause. For a complete guide to clauses, read this. When a sentence has more than one clause, semicolons and commas are key to separating them and keeping your sentence readable. For examples of how to use commas to separate independent clauses, check out Comma Trauma. “Suzanne, who does our accounting, is out sick today”. This sentence is still perfectly correct without the underlined nonessential clause, but there may still be a good reason to include it. Because it is nonessential, though, it should be set off with commas. While the idea can initially seem difficult to grasp — knowing the difference between active and passive voice — focusing on active voice and using passive voice sparingly and appropriately can greatly increase the quality and clarity of your writing. Active voice: the person or thing doing the action is the subject of the sentence. Passive voice: the person or thing receiving the action or being acted upon is the subject of the sentence. Grammar is critical for any kind of writing. But when writing is your business, writing engaging, professional content is what sets you apart from the crowd in the eyes of your clients. Style is key to this distinction, and Textbroker has a lot of resources to help you perfect your style. Creative writing is a noble pursuit and a great hobby, but it’s very different from professional writing, especially freelance writing, like the kind of assignments you’ll find as a Textbroker author. It’s important to remember that many clients want to get their message across quickly because it’s not always easy to hold people’s attention online or in other advertising contexts. Conciseness and specificity are important virtues as a freelance writer. Check out our full guide to the differences between freelance writing and creative writing. Any sentence that doesn’t add new information or specific meaning to a piece of writing is known as filler. While this definition can be less strict when writing creatively, professional writing should aim to inform more than amuse. While humor and observation can have their place in professional writing, it’s important to eliminate filler whenever possible. Textbroker has lots of material on busting fuller. Read our up-to-date guide today. Different style guides exist to keep the quality and, of course, style of content consistent. One of the most widely accepted style guides for the English language is the Associated Press style guide. Used widely by journalistic publications, magazines, publishers, and Textbroker, AP Style covers just about any question you could have about English writing. 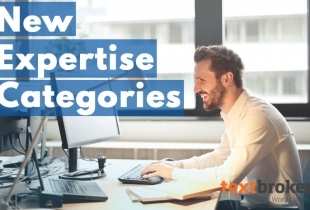 It’s important to note that, since Textbroker is primarily focused on writing content for the web, there are a few differences in our style guide and the original AP Style. For a brief guide to Textbroker and AP Style, check our our blog post here. The University of Texas at Austin provides a great cheat sheet for AP style here. Of course, one blog post can’t cover everything. The internet is a fantastic resource for answering grammar and style questions. When looking for this kind of information online, it’s important to look for credibility and recency. Credible sources include educational institutions like universities and libraries as well as publications whose reputations rely on the accuracy of what they publish, such as well-regarded newspapers. Recency is important, especially when asking about style. The Associated Press updates their style guide annually to stay on top of changing word usage and publication media. One of the best places to check for answers about AP Style is the Associated Press Twitter account. 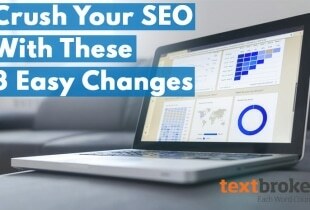 Try to find information published within the past year to stay on top of these changes. Of course, you can always direct questions to authors@textbroker.com — but keep in mind that grammar questions are often answered much more quickly with a Google search. This is awesome, good that you guys guide people that trying out or writing the first time.Awesome!